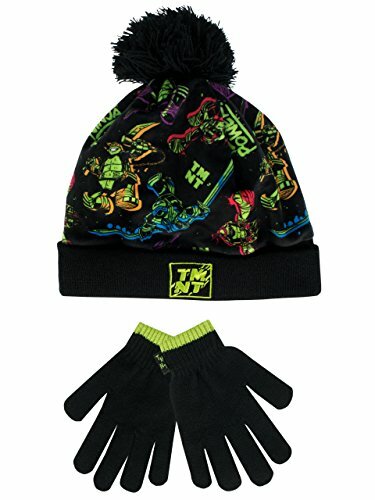 Boys Teenage Mutant Ninja Turtles Winter Hat and Gloves set. This fun ensemble comes with a cosy beanie hat, complete with a soft pompom on the top, a Ninja Turtles motif and the TMNT logo embroidered underneath. Your little ninja will always be ready for adventures and fighting the cold in style with this awesome Teenage Mutant Ninja Turtles winter set! With a fun beanie hat complete with a pompom detail and the TMNT logo embroidered. If you have any questions about this product by Teenage Mutant Ninja Turtles, contact us by completing and submitting the form below. If you are looking for a specif part number, please include it with your message.